New technology helps keep production rolling by reducing time, labor and improving quality – and essential factors in helping these WOOD 100 firms finish first in their field. What follows are some of the methods put in place by the 2017 WOOD 100 class, which includes cabinet manufacturers, residential and office furniture producers, architectural woodworkers, wood component manufacturers, closet companies and more. Showplace also invested nearly $1 million in capital equipment for all three plant sites. A number of areas were targeted, including finishing, where Showplace purchased pumps and mixers and added a paint simulator to assist in operator training. Additional case clamps increased cabinet assembly capacity and in the door plant, clamps, shape and sand equipment, and digital measuring equipment were added. North American Plywood Corp., Parsippany, NJ — New technology has helped the plywood panels fabricator and finisher grow sales 18.8% in 2016. 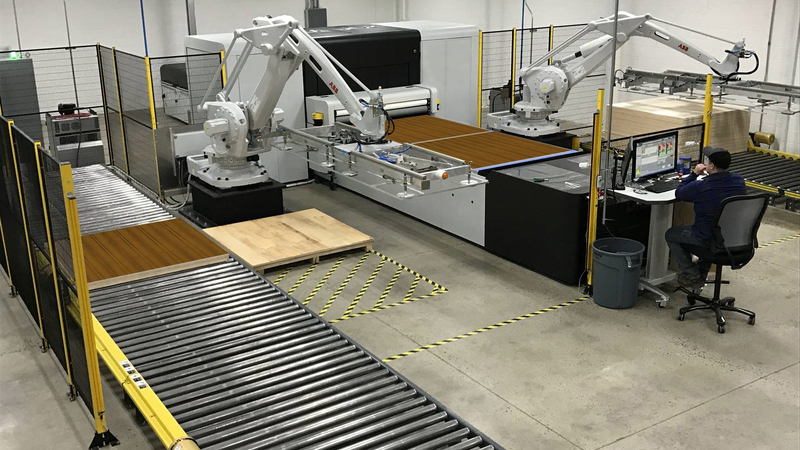 “North American Plywood invested in direct to substrate UV digital printing and continually invests in new equipment and employee training,” said GM Don Kuser. The line incorporates a high-speed inkjet press engine paired with robotic materials handling. The DesignPly system can replicate wood grain and other patterns to achieve a number of effects. “We have the ability to do figured wood in cherry, oak or ash; to create tie-dyed patterns. Or children’s furniture with cartoon images,” he added. 2017 plans include adding a CNC Schelling panel saw, a moulder, plus more coating and automation equipment. WB Mfg. Thorp, WI — Productivity continues to grow at the cabinet and caseworks company, which recently invested $1.6 million to improve production at the 225,000-square-foot plant. The setup is on target with Industry 4.0, where production is networked with little to no operator interface, said Kent Barby, Casework production manager and engineer. Installed last year, the lean workcell includes a Winstore material inventory system which, using 2020 Insight manufacturing operations management software, “looks ahead” to WB’s needs and selects and transports the correct panel to a pair of two-axis labelers. The labelers feed into a Rover CNC router and a Weeke CNC router. Working in conjunction with 2020 Insight, Eurosoft nesting software optimizes the production at the machines. Closet Creations Inc., Sleepy Hollow, NY — The home storage solutions company has invested in technology to improve its production capabilities and profits. 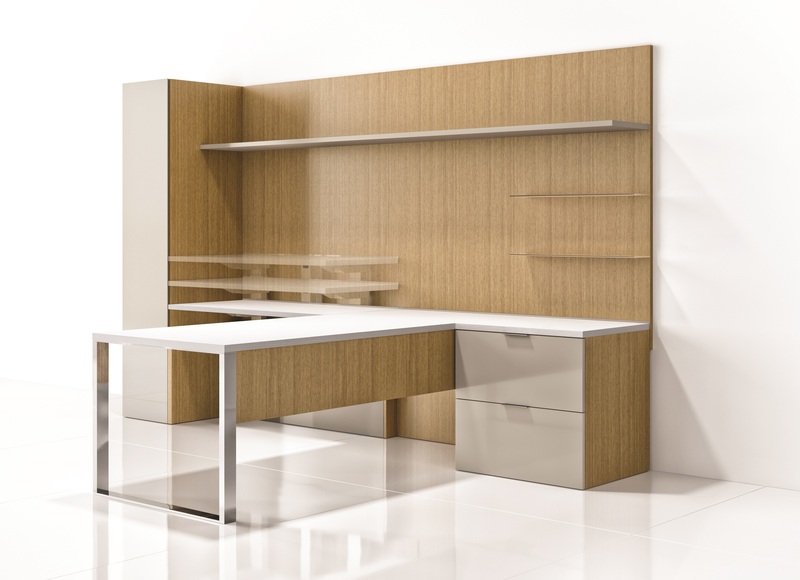 From its plant, CCM Manufacturing, in Yonkers, NY, the company produces custom closets, home offices, garage systems, and wall units. According to Owner Chris Giampaolo, about 60 percent of Closet Creations’ work is for builders, with components also supplied to approximately two dozen small, independent closet firms. To ramp up production and speed turnaround, the company recently invested in a number of high-tech machines, including a Weeke CNC, beam saw, Holz-Her edgebander, a Vitap Point K2 TOP boring machine and Eclipse contour edgebander, both from Atlantic Machinery. The new boring machine provides the company with more versatility and will be especially integral for specialized products, such as drawer cubbies and other small parts, Giampaolo added. He also credits his staff of 19 employees including three designers, a receptionist and an operations manager for much of the company’s success. 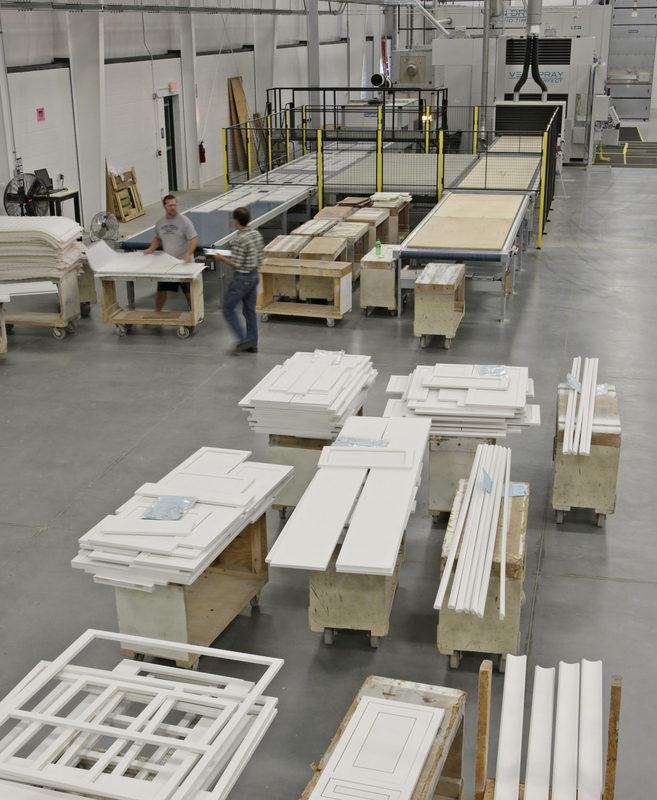 Conestoga Wood Specialties, East Earl, PA — Fast turnaround and a practically perfect (99.875%) on-time delivery rate is nothing new for the cabinetry components manufacturer. Continuously improving, the company recently added equipment to enhance its capabilities. Conestoga Wood Specialties has approximately 1,200 employees and 953,057 square feet of manufacturing space spread across five locations. At the East Earl location, along with new Holzma HPP panel saws for cutting the large panels to size, Conestoga acquired a new Brandt edgebander with the dual purpose of applying both PUR and hot air edgebanding. “It’s capable of handling orders of just about any panel size,” said Jeff Eichenseer, director of marketing and product development. The company also expanded and consolidated its finishing operation to meet the growing demand for painted wood kitchens. The 47,000-square-foot facility houses a state-of-the-art Venjakob automatic flatline UV finishing system with a “smart” material handling system that places parts on specified racks for staging before they’re dried in the UV oven. 2016 sales were approximately $140 million. Sales for the custom dovetail and dowel drawer box manufacturer rose 5.5% in 2016. Technology investments include a Biesse Selco WN in 2016, and a Dodds CNC dovetail machine in 2017. “We supply product to custom, commercial and institutional casework manufacturers as well as closet and home storage manufacturers,” said Steve Harmon, president/CEO. Owner Cole Derosier credits his employees and customer service for spurring sales 62.5% in 2016. Production of the cabinetry, islands and built-ins was improved with the purchase of an edgebander, and a CNC point-to-point in 2017. President Corbin Clay’s award-winning company blasted into notice with its production of “denim pine” furniture made out of beetle kill pine. Azure continues to refine and grow, and in 2016 added a Taylor 6-section clamp carrier, SCMI sliding table saw and baghouse. 2017 purchases include a straightline ripsaw, construction boring machine and UV oven. “With a focus on just-in-time manufacturing, and smaller batches, we were able to increase our throughput with the same amount of employees,” said Andrew Hibbs, president. 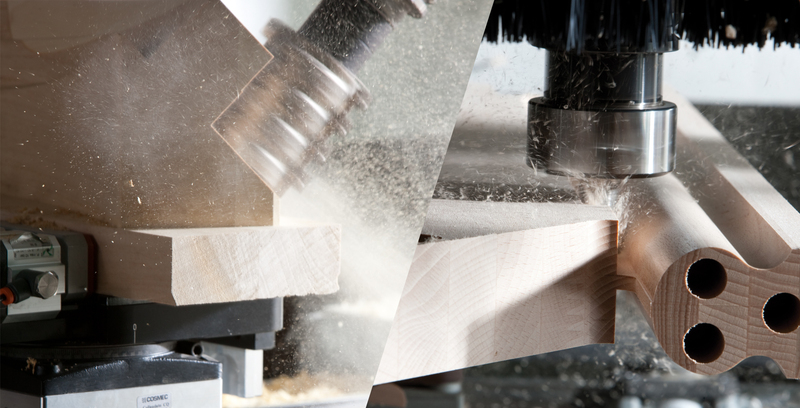 “We also invested in a zero-joint edgebander, which allowed us to outsource less.” Sales grew 11.1% for the company, which manufactures cabinetry for its Wood Inc. brand, closet components for its Stow Storage line, as well as cabinet doors. In addition to a Homag airTec edgebander and widebelt sander obtained in 2016, 2017 purchases include a Homag IntelliStore and 5x12 nested CNC router, plus an on-demand packaging machine. “With double digit revenue increases since 2014, i.M. Branded is on an aggressive growth trajectory for years to come,” said Jim Whitehead, president. 2016 sales were up 53.9%, and the company’s investments included a Busellato CNC machining center. i.M. Branded produces brand-specific fixtures and furniture for the premium automotive brands of America. The architectural millwork firm, which specializes in high-end restaurant work is a one-stop source for architects, designers and general contractors. The company recently added a Biesse CNC router to upgrade in its capabilities. “The machine is newer, has larger capacity and a larger bed than our old machine,” said GM Gary Hulen. The frameless cabinet manufacturer recently revamped its finishing process, now utilizing Sherwin-Williams pigmented UV coatings. The coatings are run on a Giardina and the newer Cefla system, which also handles clearcoat UV finishes. The cabinet manufacturer won a 2017 WMIA Wooden Globe Award for its Commitment to Excellence Through Technology. Described as a “first-class operation,” technology in use at the 350,000-square-foot plant are Biesse CNC machines, a Selco panel saw, Schmalz material handling, and a flatline finishing system from Giardina. The family owned business has been manufacturing in the United States for more than 75 years. 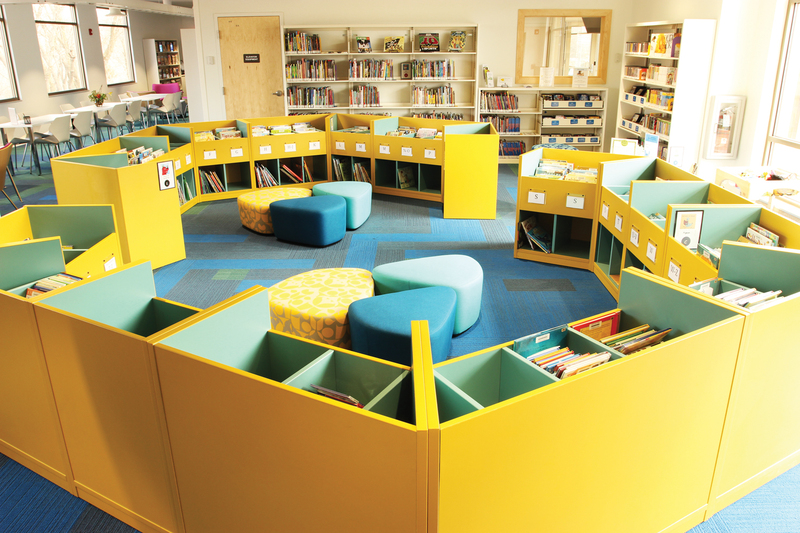 The millwork and cabinetry manufacturer transitioned toward producing kits on the CNC that contain all the required pieces for the product, resulting in a dramatic increase in productivity and work completion. Also added was an ERP system. The firm manufactures complex 3D custom laminated components using: 14 CNC routers, a CNC panel saw, Wemhoner membrane presses, Burkle PUR laminating line, and a Homag airTec edgebanding system. Also in place is an IntelliStore material handling system. President Tony Scaletta credits investments in technology, including an SCM Pratix CNC router, SCM K600 edgebander and Nederman dust collector, with improving productivity of the custom garage cabinets and spurring 15.0% sales growth in 2016. The garage enhancement firm has affiliates in six locations around the country. Marni Mathews, office manager, credits “Incorporating new technology/equipment to increase our productivity,” along with the cabinetry and millwork producer’s attention to detail, with helping spur a 2016 sales growth of 8.1%. Among the purchases last year were a CNC machining center and Cabinet Vision software. “Currently all our business is by word of mouth,” Matthews added. State-of-the-art dust collection helped earn the cabinet manufacturer a 2017 WMIA Wooden Globe Award for Innovator of the Year. Crystal Cabinet completely revamped its inefficient dust collection system and replaced it with technology from Hocker North America. The Hocker system provides more capacity and is significantly more energy efficient, saving the company more than 1 million kWh per year. The laminated panels and components maker ramped up production with the addition of a large-scale IMA Schelling Novimat contour edgebander – installed in just one day. The architectural millwork firm increased capacity with the purchase of a Weeke nested CNC router, which President Chris Farrell said runs non-stop. Autodesk Inventor applications provide project renderings and Global Shop Solutions ERP software tracks job status continuously. 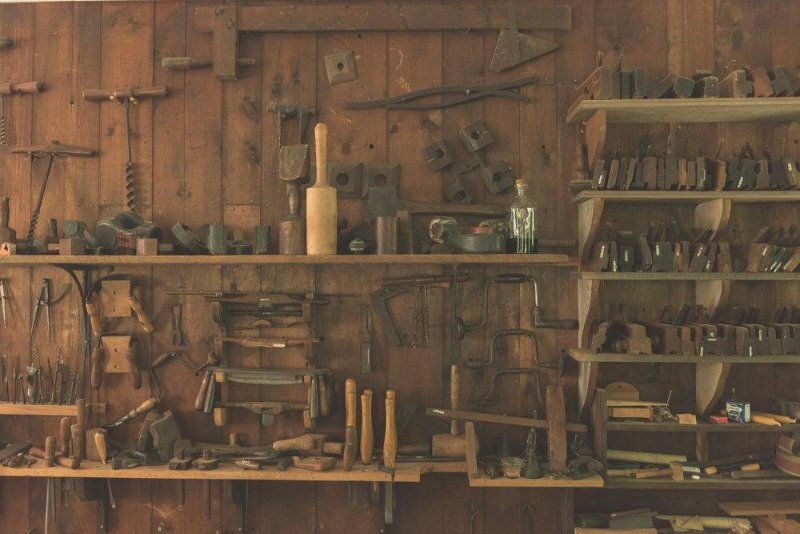 Following advice from The Profit’s Marcus Lemonis, the upholstered furniture maker ramped up production and installed an inventory management system and Morbidelli CNC router, said Steve Grafton. A “full company alignment around strategy and execution,” combined with enhanced marketing efforts and investments in technology, led to increased sales at the custom window shutters company, said President & CEO Rick Skidmore. In 2016 Timberlane expanded its finishing line and also its rough mill, with plans to purchase another CNC router in 2017. AWD expanded its CNC capability to offer a complete RTA cabinet system and purchased a Thermwood Cut Ready Cut Center. 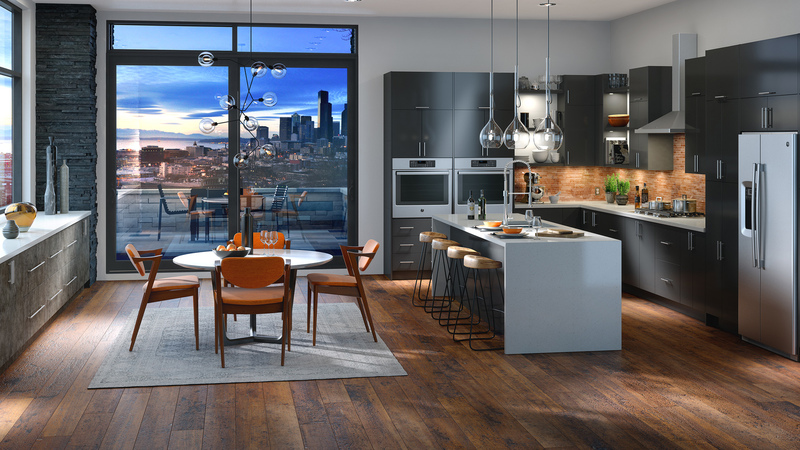 “We see an opportunity in the custom cabinet market to increase the overall value of our door sales via offering the custom cabinet components with the software and equipment we have invested in,” said John Allen. “We are systems driven,” said President Jeff Stone. “All of our products are refined and standardized. This allows us to know exactly how to process a product and how to schedule it through production.” The company has nine Fanuc robots that do much of the material processing, from loading and unloading machines to building the lineup of veneered architectural panel and components. The cabinet and millwork firm’s sales grew 50.0% in 2016, according to Owner Robb Parker, due to its customer service and enhanced productivity. The company added a CNC in 2016, and an edgebander in 2017. “We added a second Biesse Rover CNC and diversified our manufacturing skills,” said Phill Hunt, vice president. 2016 sales rose 10.4% for the manufacturer of closet components and cabinet parts for wholesale & retail. The contract furniture giant has developed an IoT solution to help organizations create workplaces that respond to the needs of people, while also optimizing real estate investments. Built on the Microsoft Azure IoT platform, Workplace Advisor is a sensor-based system that collects workplace data. The residential furniture maker’s plant is divided into independently operated “focused factories.” Among the essential equipment in the cells is Bacci CNCs.